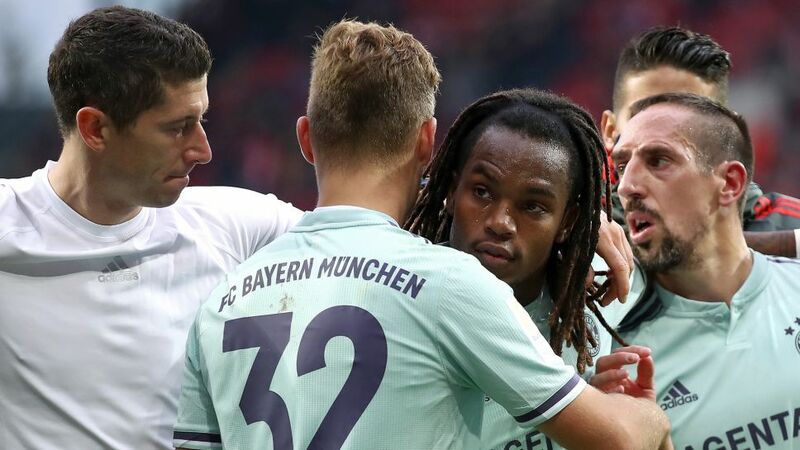 Renato Sanches has come in for some high praise from fellow Bayern Munich star Joshua Kimmich, with the Germany right-back saying the young Portuguese is the reason the record champions beat Mainz on Saturday. Leon Goretzka and Jean-Paul Boetius had exchanged goals at the Opel Arena when Thiago Alcantara snatched what proved to be the winner soon after the hour mark. Most of the Bayern players raced towards the Spain midfielder after his strike, but Kimmich took a detour via Sanches first, something he later explained. Sanches was a European champion with Portugal and Golden Boy winner when he joined Bayern from Benfica in 2016, but initially struggled to settle at the Allianz Arena and spent last season on loan with Swansea City. The midfielder, now 21, appears to be settling into his stride under Niko Kovac’s tutelage, though, and Kimmich is full of admiration for the powerful midfielder who now seems to have the mental fortitude to go with his physicality. Click here for more Bayern news, views and features!